Making waves today is none other than Southern California’s Splash House. It was just announced that the weekend pool party would be returning for its seventh season. Taking place in Palm Springs, Splash House is held at the city’s iconic desert resorts. They consist of The Renaissance, Riviera, and Saguaro Palm Springs. 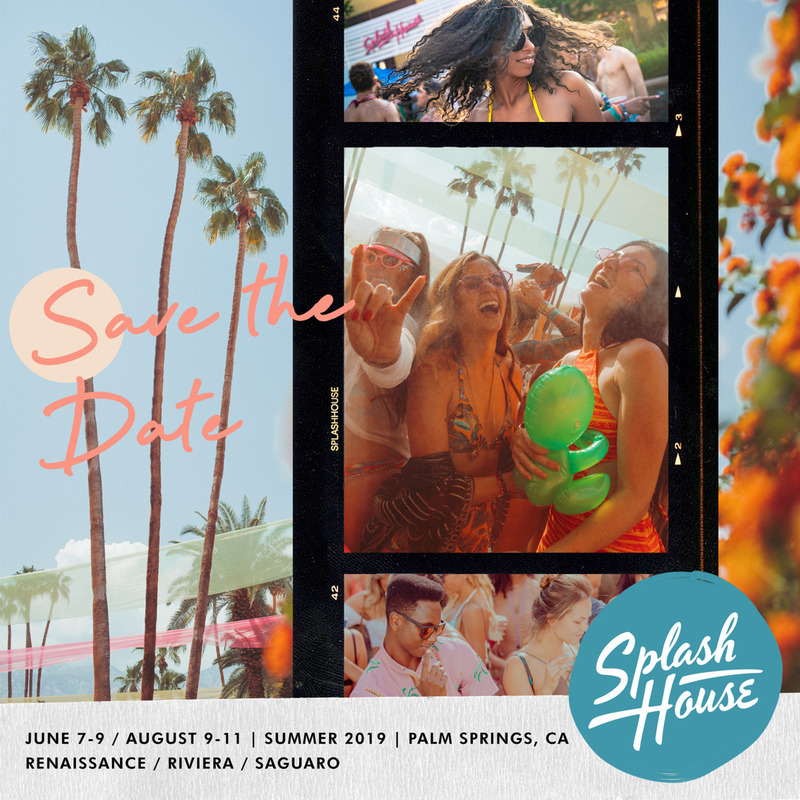 In the same fashion as last year’s Splash House, the party will take place twice, once June 7-9, and again August 9-11. If you’ve ever made your way to Splash House, then you know that they are known for their knockout lineups. In the past, we’ve seen artists such as Kygo, Rufus Du Sol, and even Flume take the stage. If this isn’t your type of vibe, don’t worry, as artists such as Claude VonStroke, Nora En Pure, & Justin Martin have also made their way onto past lineups. Last year, we saw Fisher, Autograf, & Camelphat take the stage, and we’re sure that this year’s lineup will be even better. If you’re a fan of scenic desert landscapes, and being surrounded by like minded fans of music & fashion, then splash house is definitely for you. In addition to Splash House’s marquee poolside shows, they will also hold their Open-Air, After-After parties once more. These take place at the Palm Springs Air Museum, which is just steps away from the hotels. The advanced sale option for Splash House 2019 opens up Wednesday, February 6 at 12PM PT. The event is 21+. Early-bird tickets start at $120. Tickets for the After Hours parties have gone on sale for $40. Be sure to check out the hotel packages at the host hotels as they do sell out. Hotels are starting at $275 per person. For more information, be sure to check out the official Splash House website here. See you there!